How was the band formed? Why you chose to follow the path of instrumental music? 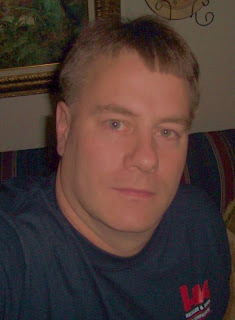 Steve (Sexton) and I got together and formed the project in 2006. The story began 20+ years ago as together we @ 17 years of age formed the the original band "Knight" that later became the well known underground success "Oblivion Knight". Back in those days we parted ways due to musical differences and as Steve developed Oblivion Knight, I formed the band Virtual Reality and recorded two demo's and had some underground metal success...Steve and I had not seen each other or played together in 20+ years. 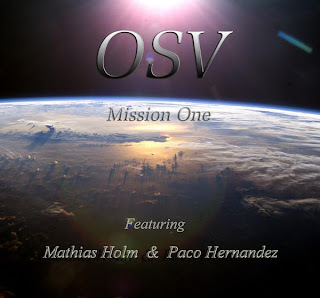 In 2006 we reconciled our differences and agreed that together along with VR keyboardist Brandon Vaughn we could form an all instrumental project, incorporating some of the latest top end guitarist and that might actually work as a successful project...well the Mission began and OSV's first CD "Mission One" was born....we got more positive feedback than we ever imagined, so we ventured ahead with the new CD "Second Thoughts" and with its well received success thru CDBaby and Itunes we are now starting the bass and drum tracks for the 3rd CD tentatively entitled "Chapter Three." Which are your main influences and how would you categorize your music? How difficult was to combined guitarists from all over the world and inspire them to adopt the band’s style? The language of music is widely accepted. How difficult is to express your feelings with the absence of words? Are you satisfied with the response you received from the sale figures of your debut? Do you plan any live concerts or it’s difficult to make it true due to lack of present band members? I know that you also rehearsed and recorded some tracks featuring Matthew Mills on guitars. Do you plan to invite him again and release some tracks from your collaboration? This could happen in the future - Matt Mills is a great guitarist...On this project Steve and I did not want to be quite so "neoclassical" in our delivery....we felt that Matt's style would be more of that direction than we had initially planed, so we opted for some other guys who were a little more versatile in their own playing...again Matt is a great player and a great guy. Tell me about the astral covers you choose for your CD’s. Do you want to connect your music with our galaxy? Is there any chance of including vocals in your songs, regarding your future releases? 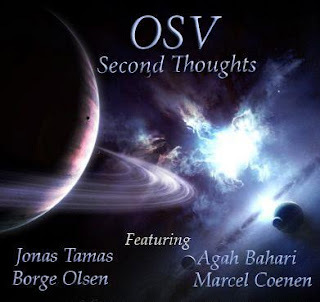 Which other guitarists do you plan to invite in OSV? Do you also participate in other projects as well? My original band Virtual reality has some material that I think would do well with the prog fans....I am trying now to sort thru the older material and some of the newer material to see where we are as for as a new CD release... Hopefully this will come to fruition..
Add anything you may want. Dimitris, thanks for your time and support..I have been listening to and playing music for a very long time it seems...and in this day and time it is hard to find anyone who will take the time to do interviews or even show interest to the underground bands...you seem to be one of those people....Thank you and God bless..